Showing movement of the handle on this model of safe. If the handle only turns 90° it is likely that a relock has triggered inside the safe and it will need professional safe engineers to open. Rosengren Tann European safe opened in Kingston upon Thames. All keys lost for the RKL10 lock. Decoded and opened without drilling or damage. New lock and key bits fitted from stock for another happy customer. Professional safe cracker on tour. 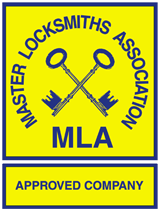 Locksmiths, safe engineers. Safes opened and repaired. We can save your safe. Tann Consort safe picked open after keys lost. No drilling or damage just skill and experience. Lock changed with two new keys for another happy customer. Professional safe engineers in Derby. Safe cracking in Derby. New safe keys made in Derby. Tann safe keyholes for single bitted keys.